Next month, I start a two-city pricing roadshow, heading back to a couple of my favourite destinations. First stop is Mumbai, India on Thursday 16th & Friday 17th of November. 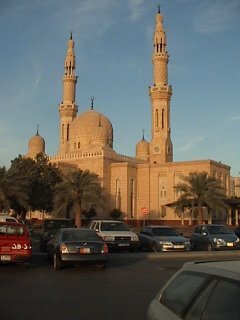 And from there, its over to Dubai in the United Arab Emirates (pictured) for a workshop on Sunday 19th and Monday 20th November. I look forward to seeing readers of this blog at one of these two workshops. If you're not in one of these cities, or cannot make it to one of these events, just drop me an email. There are more events coming up in 2007 - one might just be near you! The New Zealand website Scoop reported today that Singapore Airlines had decided to lower its fuel surcharge. You can read the full story here. In New Zealand, airfares have to be all-inclusive (not Fare + Taxes + Surcharges), so it would seem that there is no price drop for tickets sold inside NZ. Meanwhile, also today (spooky, huh? ), Qantas announced it too was reducing it fuel surcharge, although News Corp could not help notice that last week Qantas had actually announced a fare rise. Was the fare increase and the surcharge decrease designed to offset each other, the paper asked? Massachusetts is an interesting state when it comes to pricing. Not only does it have an item pricing law (every item has to have a price tag), it also has an antiscalping law. That law says that, if one obtains a license, one can resell ticktes for a $2 mark-up above face value, plus certain service charges. That really doesn't leave much room for an "honest ticket scalper" to make much margin when Ticketmaster charge fees of around $11.25. Who'd want to be an antlerless deer in Indiana? Many of you might know that I'm a dedicated follower of pricing glitches and disasters. Here's the latest to land in my Inbox. It seems that there has been a pricing glitch at the Department of Natural Resources, who dish out bonus deer shooting permits. As the temperature in Melbourne today headed for a very unseasonal (for mid-October) 29deg C, I decided to head for the supermarket to grab some lemonade to make that most British of summer drinks: Pimms and Lemonade. 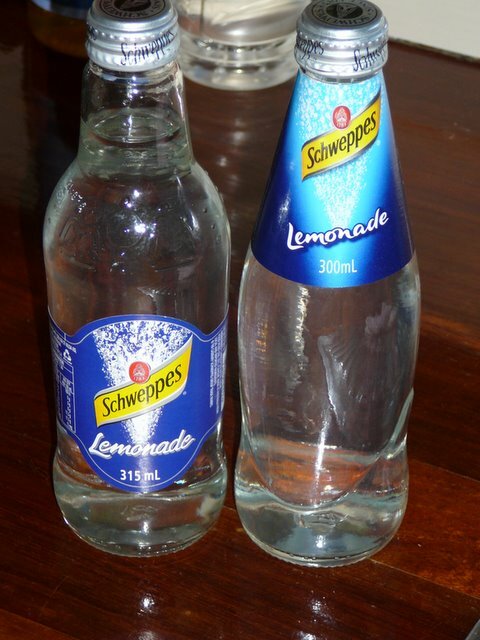 Following on from my last post, I discovered that Schweppes mixer bottles of lemonade have now gone from 315ml to 300ml. I'm not sure what, if any price change, accompanied the volume change. I wonder whether the new bottle will draw consumers attention to or away from the change in volume?